Reports suggest push could have come too late. Germany could be the next country to block the use of Huawei technology in building its 5G network. Reports have claimed that members of Germany’s interior and foreign ministries reportedly hope to convince the country’s government to consider banning mobile operators from procuring 5G telecoms equipment from Chinese manufacturers including Huawei due to national security fears. 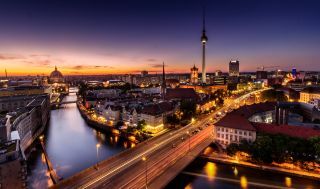 So far, the discussion in Germany on 5G has focused on coverage of next generation networks, but Reuters claims there has been a late push to discuss the security implications. Specifically, German officials are reported to be concerned about China’s National Intelligence Law that requires citizens and organisations to assist the state in national intelligence matters. This, they fear, could mean the presence of backdoors in networks that facilitate espionage activities. However, with 5G auctions due to begin in 2019, there is the suggestion that the move has come too late. Any delay to rollout would harm the country’s economy, while opposition politicians have said there is no legal basis for any exclusion. Meanwhile, the Federal Government has also gone on record to say that any ban would not provide adequate protection and that any supplier is required to work closely with security officials to eliminate any risk. Huawei has repeatedly denied any allegations of state interference and rejected “any suggestion” it might be a threat to national security. Earlier this month it emerged that the UK National Cyber Security Centre (NCSC) had warned operators to exercise caution when choosing suppliers in a move that some interpreted to mean Huawei. With the US effectively freezing Huawei out of the market and Australia explicitly banning the company from 5G rollout, one industry figure is quoted as stating there is a fear of a domino effect. Huawei provides equipment to many major European telcos, including Deutsche Telekom and BT-, and there is little appetite among mobile operators to lose a key supplier. This would not only reduce choice and increase costs, but could also lead to delays. Earlier this week, Vodafone CEO Nick Read supported Huawei in the ongoing debate. “Huawei is a very different case from ZTE [The NCSC has warned UK operators against using ZTE kit],” he said. “We don’t really use ZTE equipment in our European networks, but Huawei is a major radio provider for the European sector. We have them in the radio transport layer and not in our core or security layers. It’s in the more neutral, passive part of hardware.